corrugated profile sheet machine,it is customized design.Different designs can be cusotmized as your request.If you are interested in our machine. We would ask you some questions first. 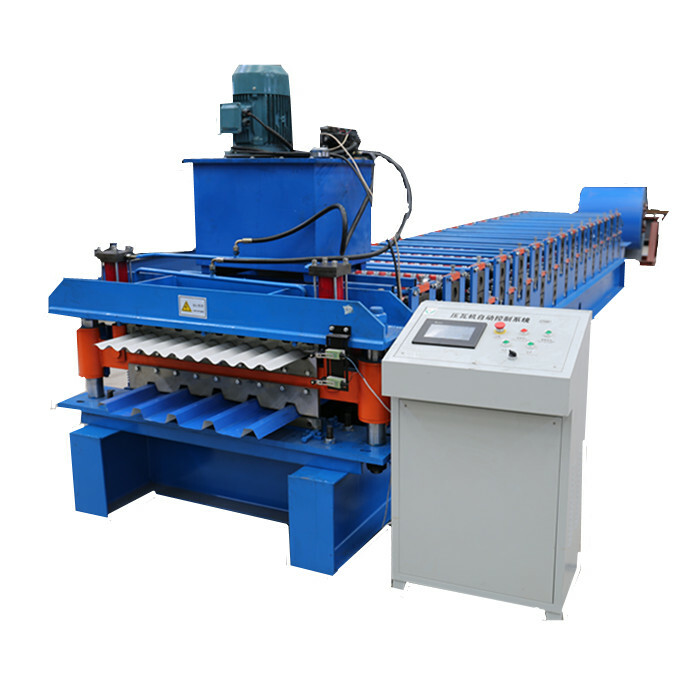 We are specialized manufacturer of roof sheet making machine.Different designs can be customized as your request. 1) Do you have an idea design you need?Including measurement.If pls tell me where are you from.So we can send you some popular designs at your place. 2) What is material thickness u use?Max and Min? 3) What is hardness of material?Is it standard?Or full hard? 4) What is voltage of machine u need?380V,50HZ?220V,60HZ?OR 415v,50HZ?We can make is as your request. Looking for ideal Corrugated Profile Sheet Machine Manufacturer & supplier ? We have a wide selection at great prices to help you get creative. All the Galvanized Profile Sheet Forming Machine are quality guaranteed. We are China Origin Factory of Roof Profile Sheet Forming Machine. If you have any question, please feel free to contact us.